There is no polar vortex going on out here on the left coast, but it is raining and chilly enough that the roses might take a rest from their otherwise year around blooming. The previous post about Steam started as a bullet point last night, then grew into its own post. That happens. It was pretty much the anchor of the post too. Now I’m left with the other items hanging about. Might as well just post them and move on. While there are no details out yet, Nintendo has said they have a revised version of the Switch they plan to launch this year. It is supposed to be smaller so as to emphasize portability. The hope is, no doubt, to get the remaining Nintendo 3DS/2DS users to consider it as an option. Nintendo 3DS/2DS sales were pretty well strangled by Nintendo over the last year, undoing a sales surge in 2017. We’ll see if the new Switch unit will hit the price, size, and durability metrics that would be required to replace the durable dual screen models. 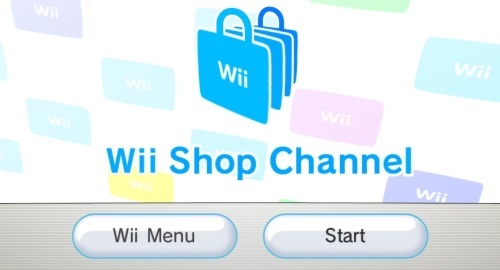 This past week saw the Wii Shop channel turned off. This closed the door on getting any digital content onto you Wii. Yes, the Wii has been around since 2006, and is now two generations behind, with Wii U having stumbled before Nintendo hit pay dirt again with the Switch. But our Wii is still hooked up to the TV in the family room and still gets an occasional play. 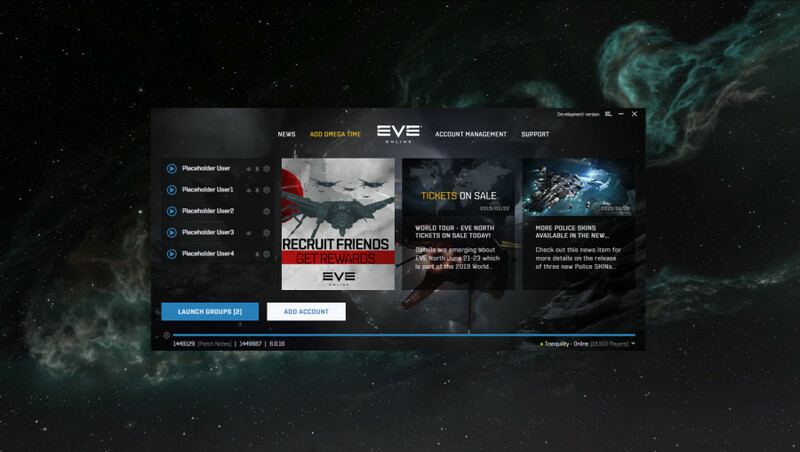 CCP has a new launcher coming in February for EVE Online. It will support new features, like “launch groups,” which will allow you to log on all your associated alts for specific tasks. It will also make tasks like saving logins a little more obvious. We’ll see if it remembers them, a chronic issue with the current launcher. Looking at the design though, the primary goal seems to have been better announcement placement. Probably not a bad idea. 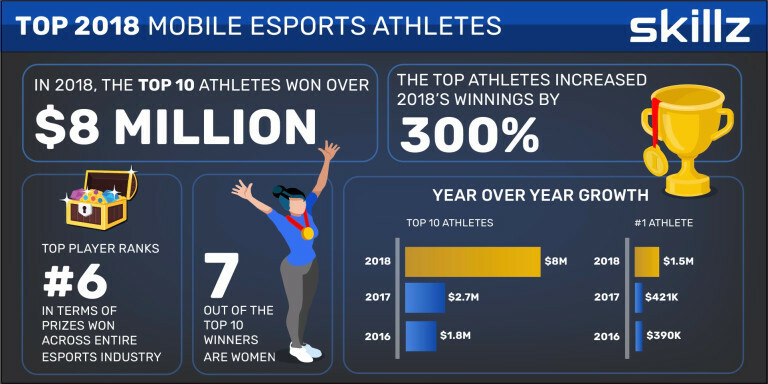 There was an article up in the games section at Venture Beat about how the top ten mobile esports players had roped in $8 million in prizes in 2018. And seven out of those ten were women. At least that was what the headline said. Most of the article was yet another attempt to prove that esports was a legitimate competitive arena by comparing esports to various professional sports. I was actually interested in the topic in the headline, but that was barely covered. Of course, it is hard to blame Venture Beat, since the press release they were working from… and which they pretty much regurgitated word for word, so maybe they get some blame… was just as scant when it came to details. If you have to spend that much copy establishing that esports are a thing, you don’t sound convincing. Of course, there might be a reason to feel defensive. There was a forum to discuss bringing esports to the Olympics in some sort of exhibition capacity that fell through once the International Olympic Committee saw just how violent the most popular esports were. Yeah, that’s not going to happen. But then the president of the German Olympic Federation Alfons Hörmann said that esports do not exist and that people should stop using the term because esports have nothing to do with sports. He seemed quite determined that esports should never be a part of the Olympics in any way. While I’m not in league with Herr Hörmann, I do find the pushing of the parallels between competitive professional video game leagues and sports to reach the level of the absurd at times. Again, the burning desire to be seen as a legitimate competitive event seems to get the best of those promoting esports. This entry was posted in entertainment, EVE Online, Nintendo, Nintendo DS Hardware, Wii and tagged esports, Friday Bullet Points on February 1, 2019 by Wilhelm Arcturus.